Born in Medford, Mass., in 1907, John Adelbert Kelley was a two-time U.S. Olympic marathoner, but Boston was his race. 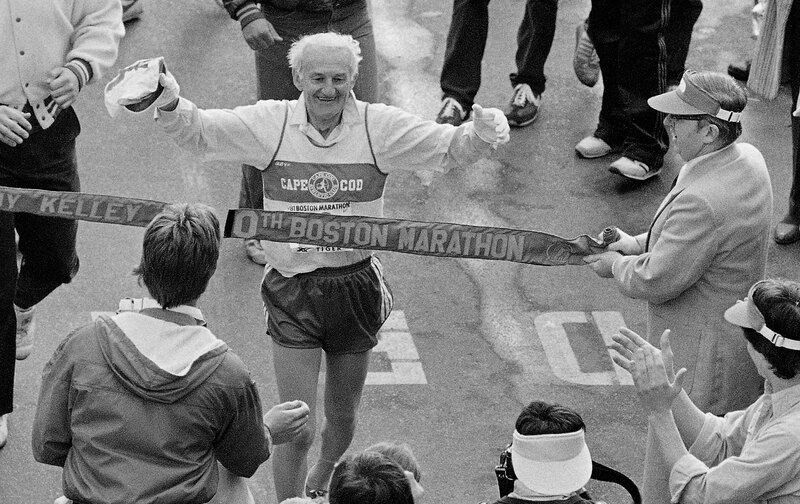 Winner in 1935 and 1945, and runner-up no fewer than seven times, Old Johnny—here finishing his 50th Boston, in 1981 at age 73—ran his last full marathon at Boston in 1992. He died at 97. His statue stands beside the course he loved.